The Empire room has a double bed and an ensuite bathroom with shower and toilets. A direct view of either side of the Château: left, the grounds, right, the Cher et its surrounding countryside. For winter nights, a marble fireplace. 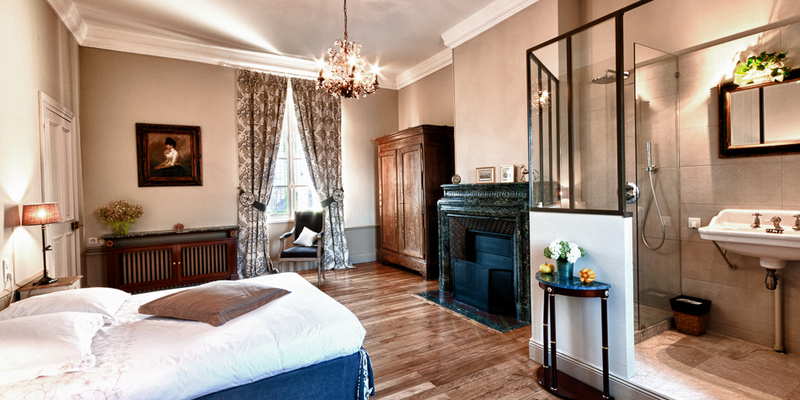 With 40m2, Empire is the largest of the Château’s 4 B&B rooms.